Sail America, the trade association for the U.S. sailing industry, welcomed three new members to its 2018 board of directors, including our very own Patrick Turner. 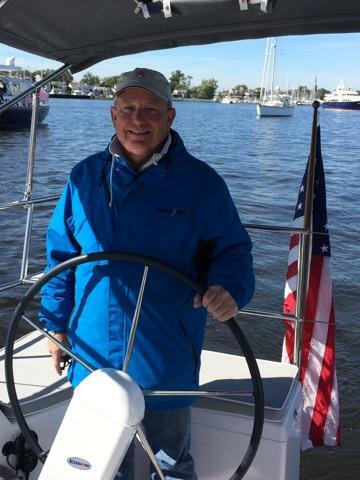 Originally from Ohio, Patrick’s career in the marine industry began in 1984, in Massachusetts, where he rented sailboats on Cape Cod during summer breaks from attending The Ohio State University. After finishing college, he and his business partner purchased a small sailboat dealership on Cape Cod. That dealership broke multiple sales records throughout the years and in 1987 added the Catalina Yachts dealership. That is when he met Frank Butler (Catalina Yachts founder and owner) and Sharon Day (Catalina Yachts national sales manager). As that professional relationship thrived, so did Patrick’s career. After selling his share of the sailboat business, Catalina Yachts asked Patrick to join them in California. There, he was a liaison to the dealers and supervised several boat shows around the world. In 2002, Patrick returned to New England, joining a sailboat dealership in Rhode Island and serving as their corporate president. In the ensuing years that dealership too broke its sales records time and again. In 2006, Patrick put his strong sales and marketing managerial skills to work outside his own dealership, also advising numerous other sailboat dealerships throughout the country. In 2013, Patrick rejoined Catalina Yachts as materials manager. Today, he is a member of our management team at the Florida operation and is also a liaison to the dealer network. Sail America is the trade association for the U.S. sailing industry and plays a vital role for all companies that are involved in providing sailing-related products and services. Established in 1990 by members of the U.S. sailing industry, Sail America now has over 200 members representing all segments of the sailing market. With a professional staff, a dedicated Board of Directors, and a team of volunteers and supporters, Sail America works hard to promote the health and growth of sailing.